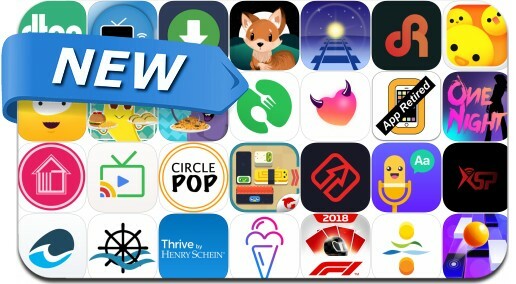 This new apps alert includes Push Sushi, Offline Files - Web Browser, F1 Trading Card Game 2018, Cute Baby Creatures, Piano Ball: Music Dance Tiles, Thrive, Classic Car School: Driving Sim, Screen Recorder for Games App and many others. Try to send out the sushi At every level, we only need to promote other sushi and set up a road, through direct export to produce the delicious sushi you want. Just push and push, you can play, but it's not easy to take out sushi successfully. Different difficulty, strange situation wait for you! Have you felt tired, worried or just need something to help you relax? Cute Baby Creatures will help you relax and feel more focused on your daily activities. This app includes: - Timer Setup - Relaxing Songs - Ambients Sounds - Dinamic Creatures - Adjust Audio Volume Say goodbye to stress!